Synthetic stimulants are produced in clandestine labs and sold online or available at smoke shops. Promoted as "bath salts," "research chemicals," or "plant food," product labeling attempts to circumvent regulation by suggesting they are not for human consumption. Additionally, some forms of designer stimulants may be sold as "legal" MDMA (Legal X), or sold and veiled as MDMA tablets. WHAT ARE THE EFFECTS OF SYNTHETIC STIMULANTS? Young adults in the U.S. and other countries have reportedly died from using these products. While synthetic stimulants appear to affect users in ways similar to amphetamines and cocaine, reports concerning aggression, tachycardia, paranoia and suicide suggest that they may be more acutely toxic. Long-term effects are unknown, although experts have stated that cardiovascular effects can last for days after ingestion. 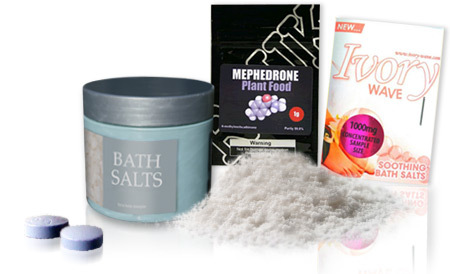 DETECT SYNTHETIC STIMULANT SUBSTANCES FOUND IN "BATH SALTS", "PLANT FOOD" OR DISGUISED AS MDMA. Accurately identifies active ingredient of many "legal high" products labeled as bath salts and plant food, or sold as "Legal X"
Urine specimen drug screen confirmed by gas chromatography/mass spectrometry (GC/MS). 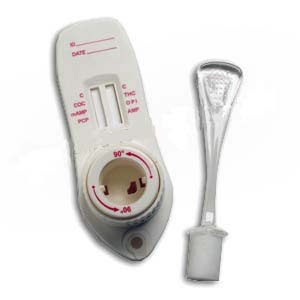 Presumptive positive specimens will be confirmed using a second aliquot prior to reporting positive results. Our analytical methods used are scientifically accepted. Cut-off levels updated periodically.